Have you mastered foreign languages and want to learn more? Do you have a desire for learning as much as you can? Then you should consider an on line paralegal school to start a career as a paralegal. By obtaining an online paralegal certificate from established paralegal schools you can help further your career. So consider the educational resources available at National Paralegal! 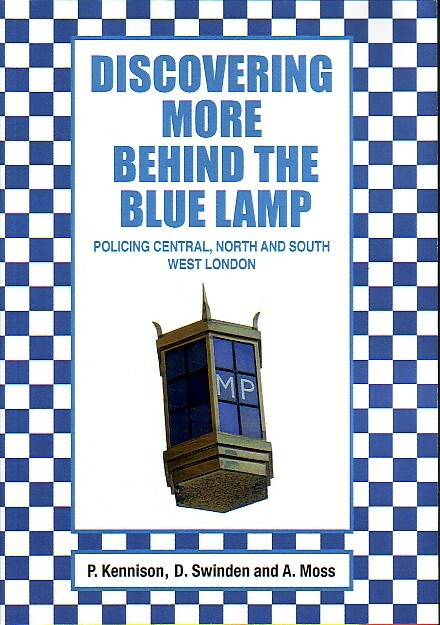 This third book in the Behind the Blue Lamp series completes the history of Metropolitan Police stations. It follows the format of the earlier books, arranged by London boroughs. This one is a bumper volume (529 pages) with 431 images covering central London. Westminster is featured (including Scotland Yard, Bow Street, Vine Street, West End Central), Kensington & Chelsea, and then the boroughs of Barnet, Brent, Ealing, Hammersmith & Fulham, Harrow, Hillingdon, Hounslow, Kingston-on-Thames, and Richmond-upon-Thames & Elmbridge. There is also a chapter Badges of Office, Top Hats, Helmets, Plates and uniform of the Metropolitan Police 1829 - 2013. 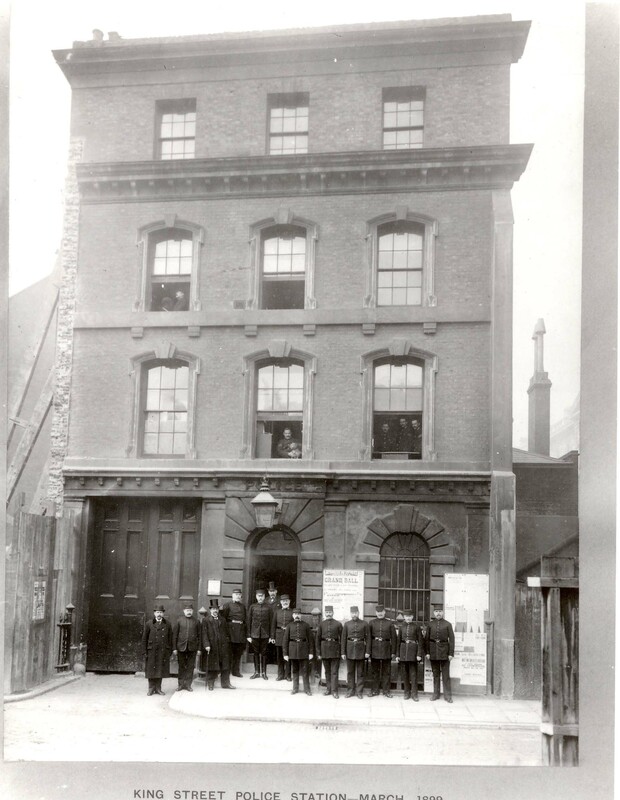 This book is not just a comprehensive gazetteer about police buildings; it includes details about police training, the characters who served at various stations and many other insights into the historical development of the Metropolitan Police. ISBN 978-0-9546534-5-3 Printed by Coppermill Press £21 plus £2.60 postage costs. Available by contacting us by email Payment can be made by paypal if desired. 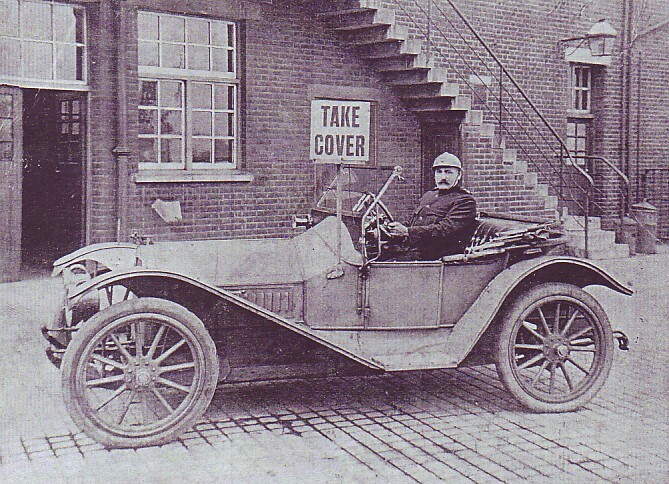 The list of police stations and other buildings in Westminster includes: Scotland Yard, Gardiner's Lane, King Street, Cannon Row, Hyde Park, Wellington Arch, Clarks Buildings, Bow Street, Charing Cross, Waterloo Pier, Great Marlborough Street, West End Central, Beak Street, Dean Street, Greek Street, Vine Street, Rochester Row, Ambrosden Avenue, Peel House, Gerald Road, Belgravia, Marylebone Lane, Molyneux Sreet & John Street, Paddington & Paddington Green, and Harrow Road. Tottenham Court Road is also included. 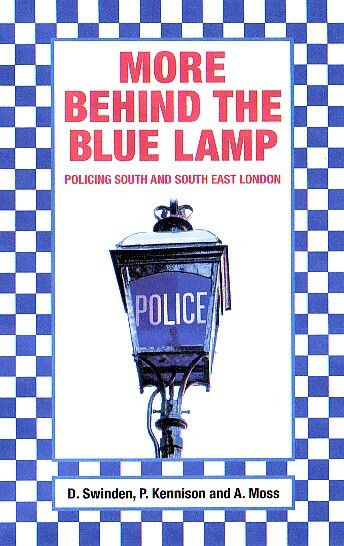 This is a follow up volume to Behind the Blue Lamp featuring all the Metropolitan police stations, past and present, south of the River Thames in the boroughs of Lambeth, Southwark, Greenwich, Lewisham, Bexley, Bromley, Croydon, Wandsworth, Sutton (including Epsom), and Merton. 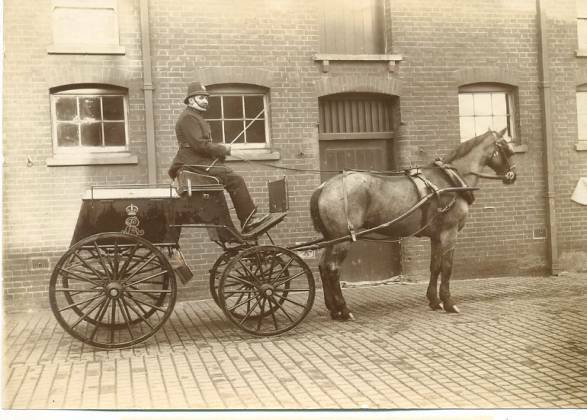 There is also an excellent chapter of previously unpublished history of the policing of Royal Navy dockyards at Woolwich, Portsmouth, Haslar, Portsmouth, Devonport, Sheerness, Pembroke and Rosyth. There are no fewer than 302 illustrations in 363 pages. ISBN 978-0-9546534-3-9 In addition to the pictures and descriptions of the police stations themselves, there are features on police uniforms and badges of rank since 1829, details of the role of the Receiver, the careers of some of the characters who served at those stations, tales of police gallantry and medals, the development of the ambulance and fire services, police boxes and many other features that made up the working lives of those who served behind the blue lamp. Published in February 2011 by Coppermill Press, this book is available exclusively from the authors for £19.99, plus £2.00 post and packaging within the UK. Send an initial email giving details of your postal address. Or contact us to pay by paypal. Behind the Blue Lamp, the original volume, is also still available. 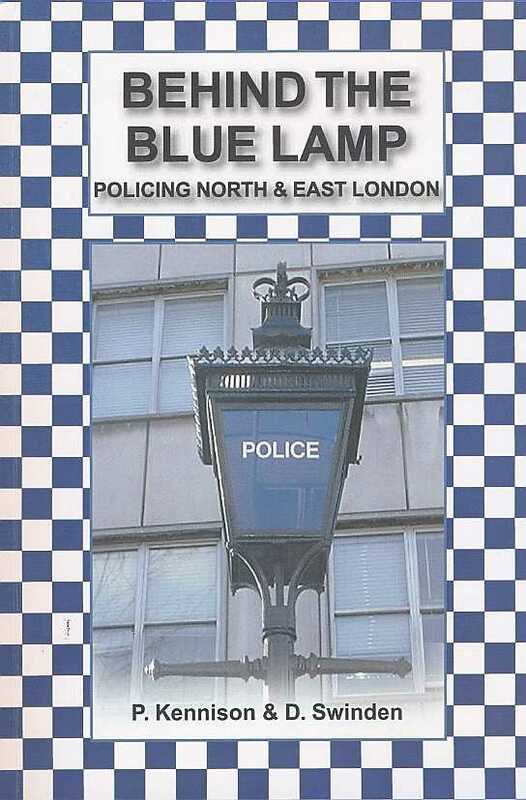 It has 371 pages of police history, centred around the police stations of North and East London. Barking & Dagenham, Camden, Enfield with Broxbourne, Epping Forest, Hackney, Haringey, Havering, Islington, Newham, Redbridge, Thames River, Tower Hamlets and Waltham Forest. 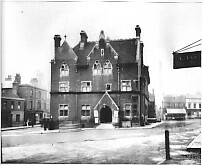 Although most of the book is about the police stations themselves, the authors have taken the opportunity to recount some of the exciting incidents which have occurred at the stations (eg The 1909 Tottenham Outrage). 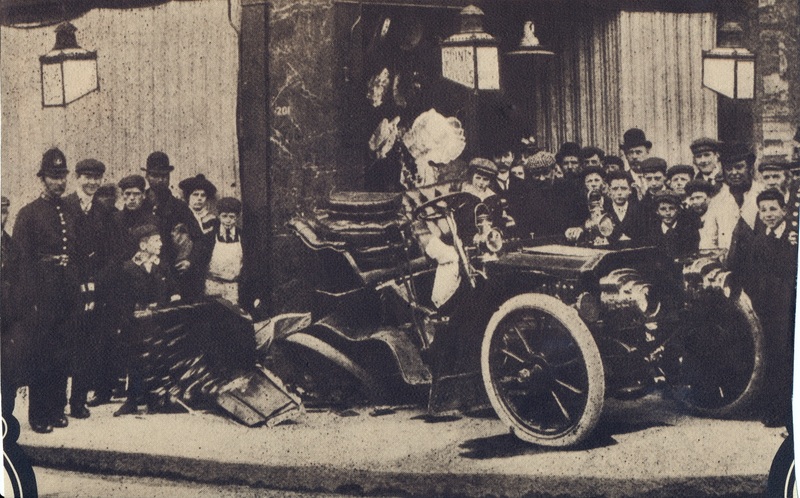 Stories of gallantry and disasters are included, as well as explanations about police medals, uniform and equipment. If you would like a copy of either book, please email us to arrange its safe delivery to you and to make payment arrangements.